As your healthcare revenue cycle management partner, Sunknowledge Services Inc will eliminate all the proven pain points in your cash flow with our specialized intervention. Right from gathering of procedural information, we also perform task specific activities in determining the eligibility coverage. Our team of Prior authorization specialists will transform your practice management priorities. Almost, 869 million hours get spent on the process of just obtaining prior authorization. We are versatile across all billing and practice management systems, extend the right checks and balances for improving your revenue cycle in the best possible manner. As a one stop destination, Sunknowledge Services performs all the necessary work involving a rich a payer side experience of over 7 years. We guarantee a billing cost deduction of 70% and will be boosting your number of approvals by 1.5-2X. 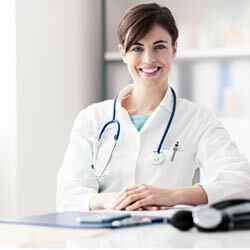 As a powerful medical billing company, we are at present serving more than 28 specialties with dedicated account management support. We provide flexibility in our submission and combine cutting edge platforms with expert resources. Our proprietary platform "Prior Auth Online" helps you with the right checks and balances reducing loss of time and money. As your healthcare revenue cycle management partner, we will eliminate all the proven pain points in your cash flow with our specialized intervention. Right from gathering of procedural information, we also perform task specific activities in determining the eligibility coverage. Looking for more demonstration! We are happy to share with you, a complete idea on what difference we put across the table as your desirable prior authorization expert. Our team maintains all the avenues with back and forth sharing of information with the concerned departments. We are a seasoned healthcare revenue cycle management company that provides you the required flexibility!